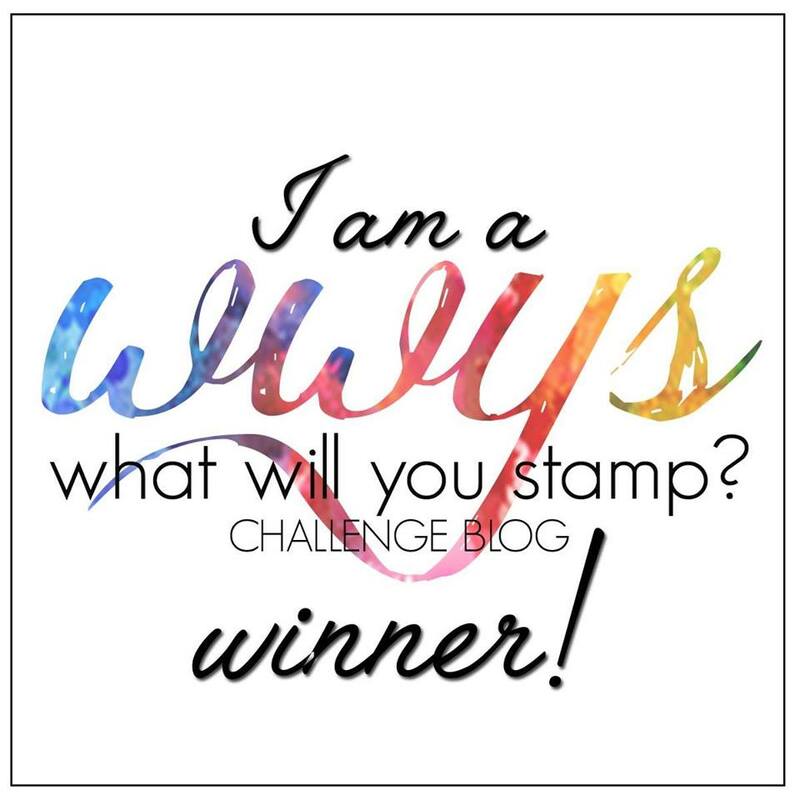 I love, love this week's theme for the challenge for Stamp, Ink, Paper!! Please join in our challenge if you can!! Hey folks!!! 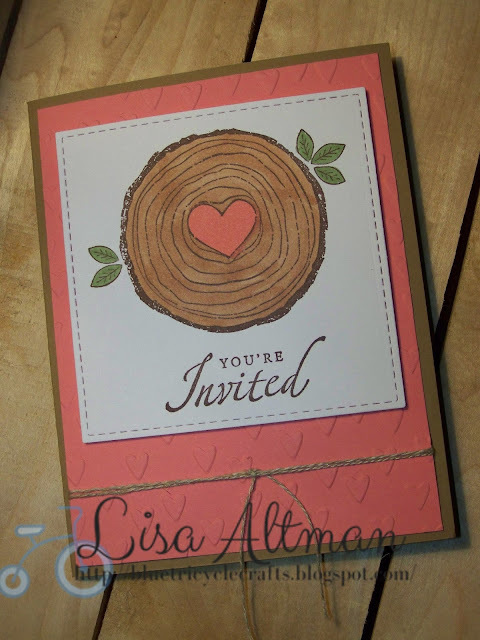 Welcome to challenge #147 for Stamp, Ink, Paper. This was the finished product. It turned out very cute. I am super happy with it!! I absolutely fell for this stamp set when I saw it, but have struggled what to do with it. I am so glad now that I bought it. 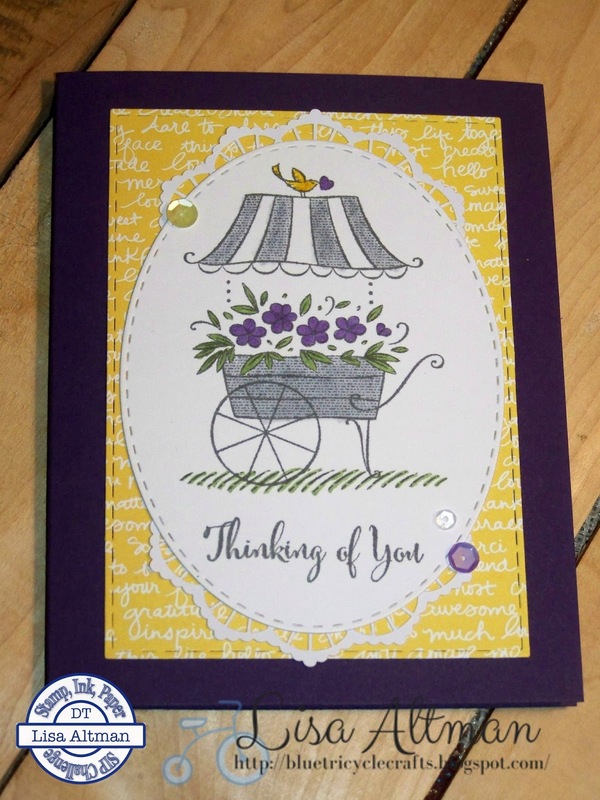 Te set is called "Always & Forever" and is by Stampin Up. The cardstock colors are Flirty Flaminga and Baked Brown Sugar. The tree trunk is colored with copics. The sentiment is from a very old SU set called Sincere Salutations, I think.... :) The heart embossing folder is from Cuttlebug and is called Cross My Heart. 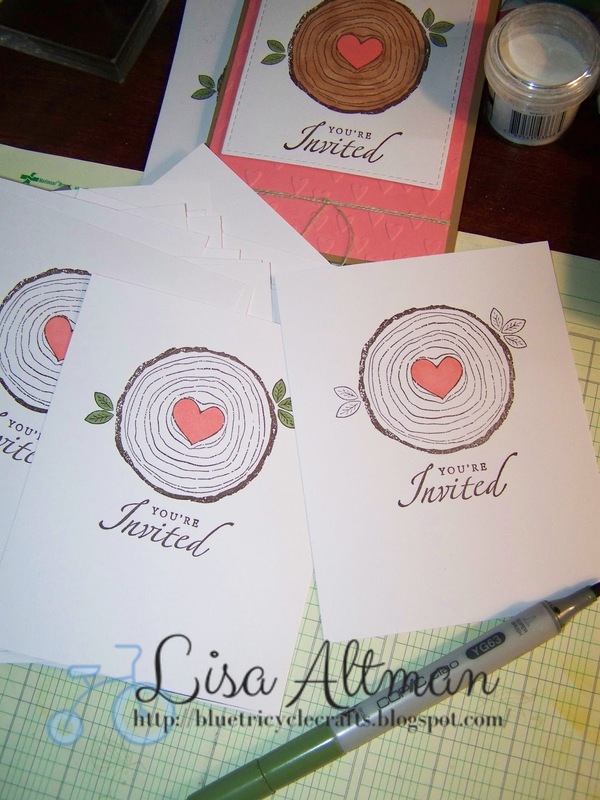 Thanks for stopping by to check out my invites. This week's challenge for Stamp, Ink, Paper is the Ombre technique. The color I used is Crushed Curry. It is the cardstock and the ink I sponged on to the white layer. I started by heat embossing the flowers with white embossing powder on to the white cardstock. I then sponged the ink over the embossing, starting at the left side and going lighter as I went right. I stopped several times to wipe the embossed images off with a clean towel, so they stood out brighter. The images are from and oldie, but goodie, set called Summer Silhouettes. The stamped sentiments are from the Amazing You set. 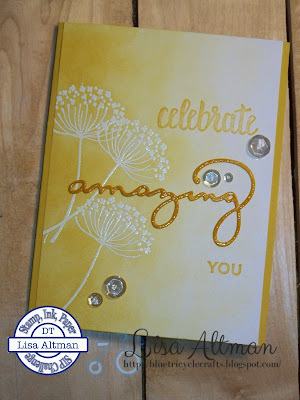 The die cut "amazing" is from the Celebrate You Thinlits Dies. I cut it out of Crushed Curry cardstock and pressed it on to my Versamark pad, then sprinkled it with clear embossing powder and heat set it. I added a few clear sequins from Pretty Pink Posh for some more sparkle, and done! Again, thank you for stopping by. 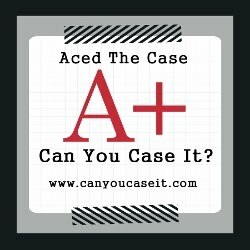 Join in this week's challenge if you can!!! Welcome to this week's challenge for Stamp, Ink, Paper. This week's theme is "Basket of Flowers". Well, mine isn't exactly a basket, but it is as close as I have. :) I think it works......lol. Please join in our challenge if you can!! I would love to see what you create. 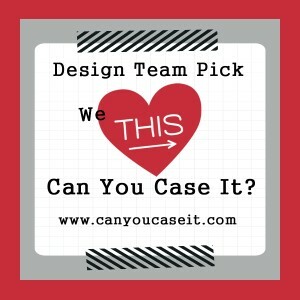 Thanks for stopping by to check out this week's challenge for Stamp, Ink, Paper. The stamps are from Stampin Up's "In the City" set. I kept the cards pretty simple. I used Basic Gray, Bermuda Bay, and Lemon Lime Twist ink and cardstock. Please join in the challenge if you can. I would love to see what you create!!! 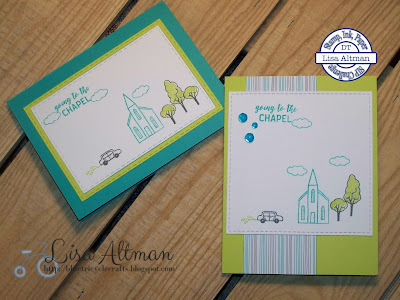 Welcome to this week's Stamp, Ink, Paper Challenge!!! I have been MIA the past few week's because my computer has been in the shop, but, thankfully I am back in business, for now at least. It may be time to start shopping for a new one, because the local repair guy says if this happens again, he may not be able to do anything about it again.......boo. So......... on to the challenge!!! I love sketch challenges. As I have said before, they are my favorites!!! 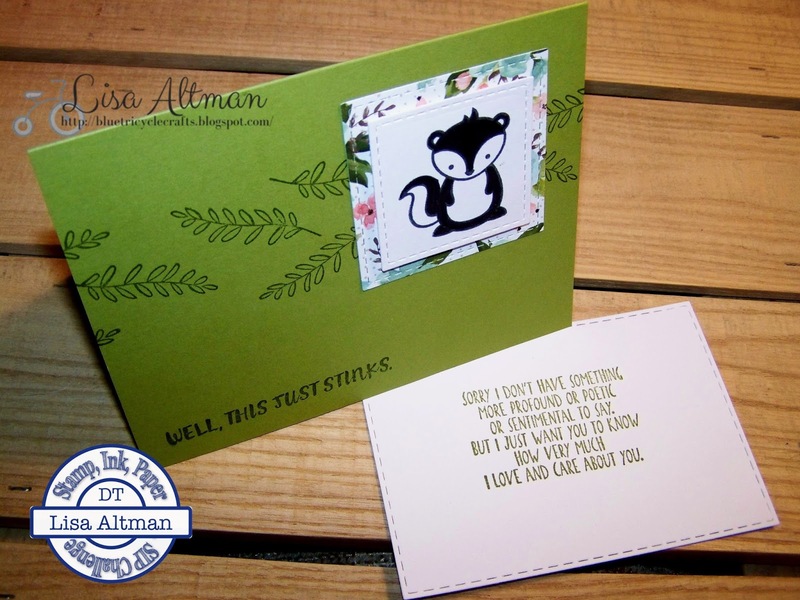 The adorable little skunk is from Lawn Fawn. I stamped him in black and colored him with a black Copic marker. The leaves are from SU's We Must Celebrate, and the sentiment is from SU's Here For You, and all are stamped in Old Olive. The card base is also Old Olive. The dsp behind the skunk is some retired SU dsp I had in my bin. Hello there!! And thanks for stopping by. 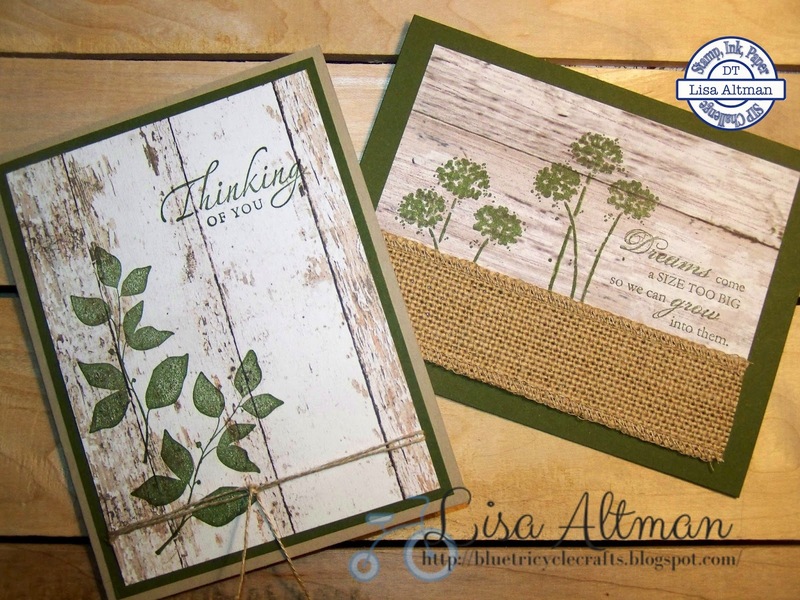 This week for the Stamp, Ink, Paper challenge, we are coping with "Cabin Fever". While I am not quite sick of winter yet, I know many others are, so we are thinking ahead to spring with our creations this week. 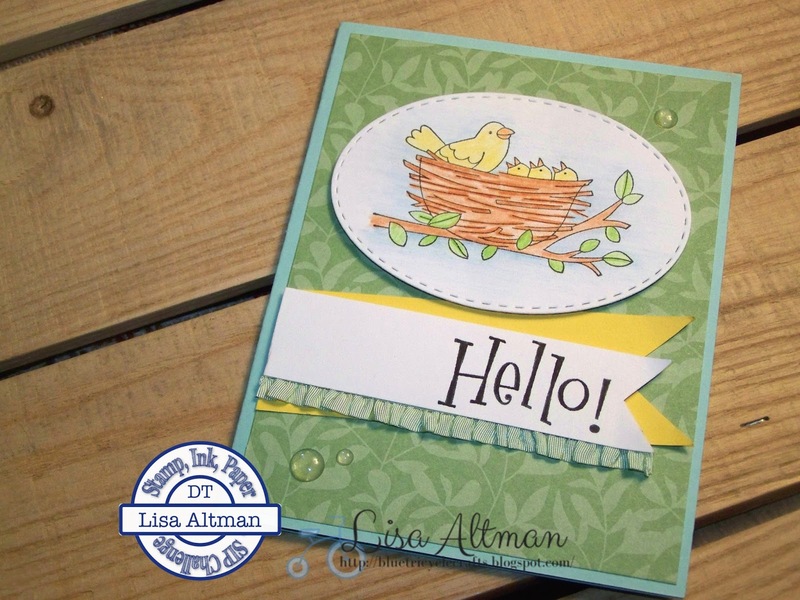 My card is made using an image from a new Stampin Up set I just got called "Flying Home". I just love it, and think it is going to get a lot of use over the next few weeks. The sentiment is a Hero Arts stamp. I colored the image with pencil crayons. The background paper is a scrap I had, so not sure of it's name. The ruffled ribbon is a retired SU item. 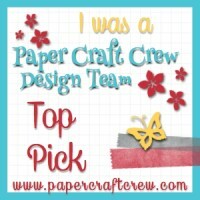 My card base is Pool Party cardstock, and the yellow banner is made from Daffodil Delight cardstock.